Caption: On the winner’s podium for the 2010/2011 Rolex FEI World Cup™ Jumping final at Leipzig, Germany today - Canada’s Eric Lamaze who finished second (on left), newly-crowned Rolex FEI World Cup™ Jumping champion Christian Ahlmann from Germany (centre) and The Netherlands’ Jeroen Dubbeldam who slotted into third place (right). Photo: FEI/Kit Houghton. Germany's Christian Ahlmann claimed the Rolex FEI World Cup™ Jumping 2010/2011 title in a thrilling finale on his home ground in Leipzig today with superb jumping from his stallion, Taloubet Z. Sharing the lead with fellow-countryman Marco Kutscher, the 36-year-old rider added just four faults to an otherwise foot-perfect performance to finish ahead of reigning Olympic champion Eric Lamaze from Canada, while The Netherlands' Jeroen Dubbeldam rocketed up from overnight 11th to finish third when producing one of only two clear double clears on the final afternoon. There was huge disappointment for Kutscher who had the world's most prestigious indoor title in his sights until his luck ran out at the very end. Such was the unforgiving nature of Frank Rothenberger's testing courses however that the slightest of errors proved very costly indeed. Today's jumping was about scope, speed, courage, accuracy and, most importantly, the rideability of the horses. In the end it was Ahlmann's 11-year-old Taloubet Z who put all the ingredients together to create the winning formula. US riders were first to find the key to the opening track as veteran Margie Engle's spectacular round with the exciting grey, Indigo, was followed by a copybook run from Beezie Madden and the stunning Coral Reef Via Volo. These ladies however were jumping middle-order in the start-list of 27 runners after the previous two competitions, and it didn't seem that Dubbeldam's clear with BMC van Grunsven Simon, or the equally impressive fault-free effort from 10th-placed McLain Ward and Antares, would prove overly influential. The remaining nine however struggled to leave all the fences up - defending champion Marcus Ehning from Germany lowering both the second element of the triple combination at fence four and the last element of the final double to slip from contention with Sabrina. Lamaze's Hickstead always raises the heart-rate, and when the stallion crossed the line clear it piled the pressure on the remaining four. There was little between the leaders as they jumped in reverse order of merit, and as the final double also caught New Zealand's Katie McVean and Delphi and Dutchman Gerco Schroder left two on the floor on his tour of the ring with Eurocommerce New Orleans, then the German leaders were given more breathing space. Second-last to go, Kutscher then further secured his advantage with a clear from Cash despite rattling a number of poles, but last man in, Ahlmann fell victim to that tricky final double. As the second round began only Kutscher remained on a zero score with Ahlmann close behind carrying four, Lamaze on six, McVean with eight and Schroder now carrying nine faults. Dubbeldam, who had moved into seventh, began to really threaten the leading bunch with another clear and when Ward's lovely grey faulted at the very last on the new course, the big Rolex oxer, and Schroder also left one on the ground then the 2000 Olympic champion's chances were improving all the time. McVean hit the oxer at fence four and Lamaze dislodged the flimsy top plank on the vertical at 10 so the pressure was further relieved for the leading home runners. And when Ahlmann stayed cool as a breeze to bring Taloubet Z home clear - he was now guaranteed at least second place. But it all fell apart for Kutscher when Cash hit the first before bringing down two more for a devastating 12 faults. The German fans groaned with disappointment for him, but they still had a hero to cheer as Ahlmann claimed the coveted title for Germany for the ninth time in the 33-year history of this great series. "I'm unbelievably happy that everything worked out the way it did", said the winning rider. 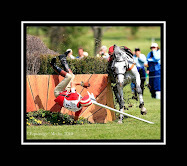 "Taloubet did an amazing job all weekend and the only fault he made was his rider's fault at the last fence in the first round. He is a horse with quality, scope and power but he has no experience of Championship competition so I'm delighted that he showed today that he can do it", Ahlmann added. Second-placed Lamaze was more than pleased too. "I'm really thrilled with what happened here this week - I couldn't have asked for any more. Hickstead is only starting his season, he didn't jump indoors all winter so I'm very happy to be where I am right now. Every day gets better for me - it just shows what a great horse he is when he can achieve this when he is not even fully fit!" he pointed out. Dubbeldam admitted that he lived in hope even when lying 11th going into the last competition. “You have to believe it’s possible and I went in today thinking I would go up at least a few places", he said. "I knew my horse was in top form, I had a super feeling in the first class but then on Friday we had an unlucky eight faults - however I still had a super feeling going into today's competition", he explained. Ahlmann talked about the "ups and downs" he has experienced with Taloubet. "He was difficult to control in the beginning - he jumped a lot more forward and it made it difficult for him over the fences so I tried to build him up slowly and carefully, starting in small classes. It took a lot of time but as you can see today it was well worth the wait!" said the man whose career honours now include Team and Individual gold at European championship level, team bronze from the Olympic Games and team bronze from the FEI World Equestrian Games™ and now the most desired trophy of the international indoor circuit - the Rolex FEI World Cup™ Jumping title. 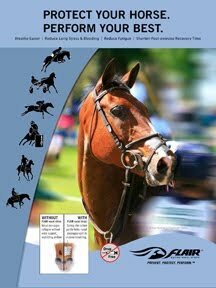 Visit our new FEI Press Kit Zone to get everything you need on the FEI World Cup™ Finals 2010/2011. 27 horse-and-rider combinations started in the third and last competition at the Rolex FEI World Cup™ Final 2010/2011 in Leipzig, Germany today. Germany's Christian Ahlmann and Marco Kutscher shared the lead with a zero score as the competition began. Course designer, Frank Rothenberger, presented a first-round track of 13 obstacles with 16 jumping efforts and a second-round track with 12 jumping efforts. 21 riders qualified for round 2 but only 19 competed. 6 riders jumped clear in round 1. 5 jumped clear in round 2. Only 2 combinations jumped double-clear in today's class - Coral Reef Via Vola ridden by America's Beezie Madden and BMC van Grunsven Simon ridden by The Netherlands' Jeroen Dubbeldam. Dubbeldam was lying in 11th place as today's competition began, and his double-clear moved him up 8 places to finish third. Today's winner, Christian Ahlmann, recorded the ninth German win in the 33-year history of FEI World Cup™ Jumping. Today's win was also the fourth successive German victory. Course designer, Frank Rothenberger - "we had two wonderful rounds of competition with just two double-clears yet the course didn't take too much out of the horses - for me that is the perfect result and very much as I expected." 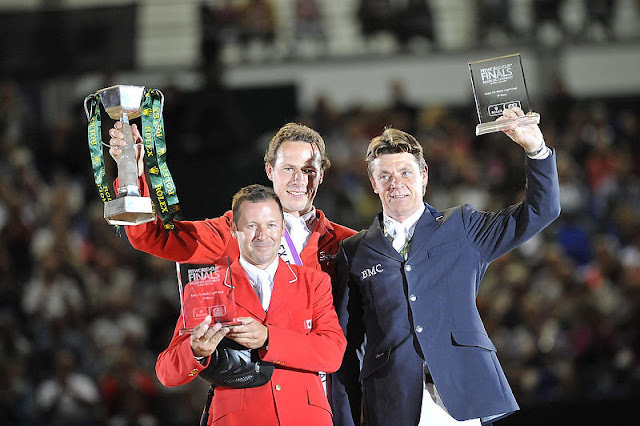 John Madden, FEI Jumping Committee - "Everyone rose to the occasion to create a fantastic final here in Leipzig." Christian Ahlmann - "Taloubet will have a break now for a few weeks and then do the Global Champions Tour and maybe a Nations Cup. I'm not sure about later in the season and the European Championships in Madrid because we will have to see how well he jumps when he goes outside." Eric Lamaze - "I'm based with Rodrigo Pessoa in Belgium when I am in Europe then I will go to the summer tour at Spruce Meadows." Show Chairman Volker Wulff - "I'd like to thank Rolex - we have been very happy to work with them throughout their sponsorship of this series, they are great sponsors and help maintain the quality of our shows. I hope their support will continue for a long time." For the first time in the history of equestrian sport, the Rolex FEI World Cup™ Jumping, Reem Acra FEI World Cup™ Dressage, FEI World Cup™ Driving and the inaugural FEI World Cup™ Vaulting takes place under one roof in Leipzig this week, bringing together four world-class disciplines for a fabulous festival of sport.